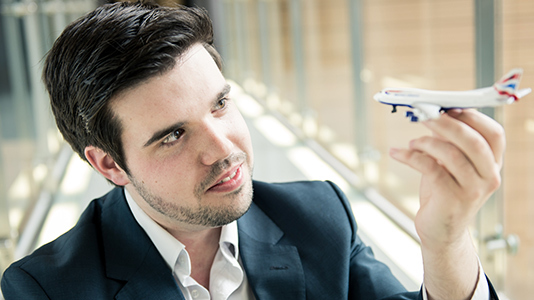 Our apprenticeship programme produces educated, trained, and registered professionals. You'll be able offer creative problem solving and strategic advice related to various types of building, arts, and construction projects. Architecture is an extraordinary first degree to study. On this highly creative course, you'll learn to draw, model, write and, above all, solve problems which directly improve our society. 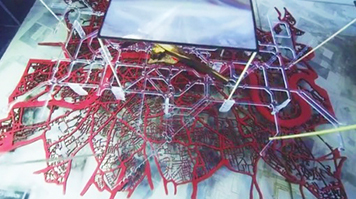 The degree you'll attain will be Architecture BA (Hons). 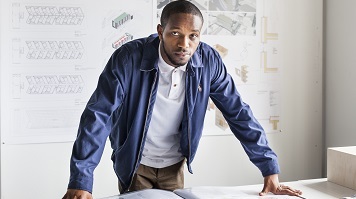 The work of an architectural assistant the first step to registration as an architect is acquiring the RIBA part 1 qualification, enabling apprentices to continue their work in practice while studying a professionally-validated degree as an architectural assistant. Architectural assistants work in organisations of varying sizes, from small practice to large multi-disciplinary organisations. 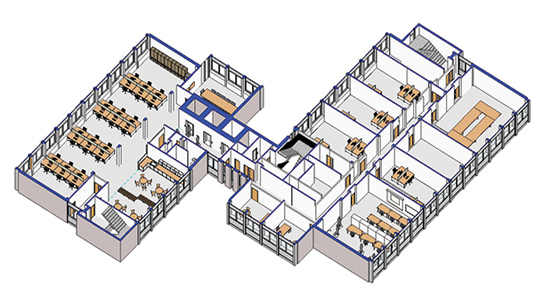 They can be based at locations within project design teams, on site, or a combination of both. Because their skills are transferable, they may work for other construction and design related businesses (e.g. property consultants, construction companies, planning authorities or interior designers). In collaboration with other members of a project team, architectural assistants respond to client requirements by preparing, reviewing, and refining building design through various media such as 3D modelling, drawings, and model making. The course is 4 years part-time. Apprentices usually attend university one day per week for the 15 week first semester, and one day per week for the 15 week second semester. The day at LSBU will always be known well in advance to enable apprentices to plan their working week in practice, and does not vary from week to week. No.1 London modern university for research intensity in Architecture (Complete University Guide 2019). Professional accreditation – the course is fully validated by the Royal Institute of British Architects and prescribed by the Architects Registration Board. Experience - with roots in London Council School of Building (1904) and Brixton School of Building (1940), LSBU has been offering architectural education for over 100 years. Top 5 amongst London competitors for overall satisfaction in Architecture (National Student Survey 2018). Top 3 amongst London competitors for graduate prospects in Architecture (Sunday Times 2019). This is a highly creative course where design project work is the focus of our studio culture. Design The acquisition of design skills and knowledge is central to the programme of study, and these are learnt through studio activities and the completion of design projects. A creative as well as analytical approach to designing is encouraged using models, drawings, and computer graphics to explore design concepts. As the course comprises over 50% of its content as design, it should be understood success in this curricular area is central to the course. Studio activity also includes learning how to communicate ideas, both verbally and visually, to tutors, students, and fellow apprentices. The presentation of work and the feedback received is referred to as a crit, or review of your work. The crit/review is an opportunity to explain an individual approach to the design process and to clarify ideas; attendance at all crits/reviews is essential. At the crit/review, everyone will receive verbal and written feedback from tutors and guest critics responding to the project that has been reviewed. 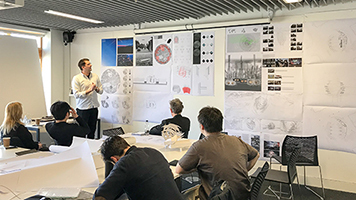 At interim and final crits apprentices will usually be given a crit sheet by the studio tutor to serve as a reflection of the work’s quality and to give guidance that must be responded to. Technology Construction and environmental technologies are integral parts of the design process from conceptual idea to final proposal. At undergraduate level, the principles of these technologies are learnt and this knowledge then developed and applied to key design projects in the programme. The technology and environment syllabus is delivered in lectures, and then assessed by means of coursework as an integral but discreet part of design studio work. Apprentices can use their knowledge of these technologies as a driver in their architectural thinking, or subsumed by other design influences. Cultural context The cultural context input comprises History and Theory courses. The history and theory courses position the individual student experience within the wider subject area of architecture, establishing views regarding the role of architecture within culture, the ethical and rational critique of architecture, and the application of philosophical thought to architecture. As well as establishing rigour in thinking, critical investigation, the application and organisation of research, writing skills, and referencing, studies in the history and theory of architecture encourage students to be aware of precedent. Precedent refers to the analysis of previous works of architecture, and how diverse design methodologies inform your own proposals in the studio. Historical and theoretical understanding allows students to judge the relative success of various design approaches against criteria including building performance, scale, form, social consequence, and historical significance. Communications Communications involves both analogue drawing and modeling, and the acquisition of advanced digital design skills. Communications 1 introduces 2D and 3D analogue and digital drawing; Communications 2/Digital Media covers the basics of 3D computer modeling and fabrication, and is connected to development of a design project. The teaching of advanced digital drawing software is an essential part of employment in an architect’s office. Apprentices are required to supplement all taught workshops with extensive, self-managed practice in all digital technologies. Professional practice All apprentices are introduced to professional practice through a series of lectures and case studies. The views of practitioners, and of representatives from the professional and statutory bodies are both represented in the lecture series. Apprentices are required to manage and appraise their own working practices with regard to their work. They are taught how to prepare a CV, and to search for work (where relevant). Apprentices are also encouraged to participate in the RIBA Mentoring Scheme which will again be offered to FT3 and PT5 students (as well as apprentices) this year. Taking this course and becoming an architectural assistant is a cost and time effective means to the first of three stages in becoming professionally qualified. The course is leads to the award of Architecture BA (Hons) and the professional award of RIBA part 1. London South Bank University has a long established history of part time professional courses, and enjoys excellent links with all disciplines within the construction industry. We have excellent studios, workshops, and AV facilities on site (including advanced digital fabrication equipment), and an architecture team who are committed to every apprentice realising their ambitions. The course is unconditionally validated by RIBA and offers the professional award of RIBA part 2 on successful completion. The regular validation cycle ensures that your work is carefully sampled by peer reviewers to ensure course content and outputs retain close relevance to professional practice. The course and qualification is also prescribed by the Architects Registration Board. The professional membership body, the Royal Institute of British Architects (RIBA), champions better buildings, communities, and the environment through architecture. The Architects Registration Board (ARB) is the UK's statutory body for architects. Learning on an apprenticeship offers a combination of academic education and practical training; it is learning informed and enriched by professional practice. Apprentices are required to attend a combination of tutorials, workshops, lectures, seminars, and site or building visits (the latter other than those undertaken in the workplace). The course is principally taught by staff in the division of architecture, although in some instances staff from other departments and disciplines are involved. Where possible, tutors and guests from outside the university are also invited to present lectures and provide specialist inputs to a particular subject area or project. Central to the LSBU concept of postgraduate architecture education is the studio system, operating across part and full-time courses. 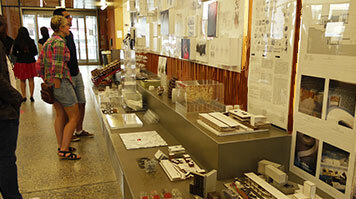 The studios provide a framework for a range of relevant intellectual and practical specialisms to inform design work. View the 2018 exhibition catalogue. We require a portfolio of work to be submitted.